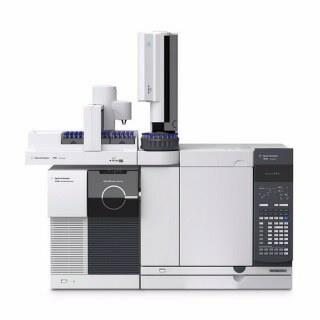 The NEW 7010B Triple Quadrupole GC/MS is the latest version of the first compact benchtop Triple quad (MS/MS) system to provide attogram detection limits in Electron Ionization (EI) mode. The 7010B is now even easier to use and more efficient than ever, due to its new Dynamic MRM (dMRM) mode of acquisition. If your lab includes Agilent 5975 or 5977 GC/MSD systems, you’ll be able to load your GC/MSD SIM and scan methods on the 7010B to balance your workload across all available instruments. Its high-efficiency EI source produces at least 20 times as many ions as the previous generation, improving your efficiency. Increase your lab’s capacity with the NEW Single Quad Method Compatibility – Load and execute GC/MSD methods, allowing you to handle more samples requiring SIM or scan acquisition. Improved sensitivity with the High-Efficiency EI Ion Source – This unique EI source delivers astonishingly low detection limits. Demonstrated installation specification, with 2 fg OFN injected: IDL ≤ 0.5fg. Save time and money - with significant streamlining of sample prep procedures and reduction of sample injection volume for reduced routine maintenance requirements.